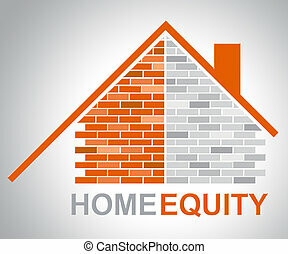 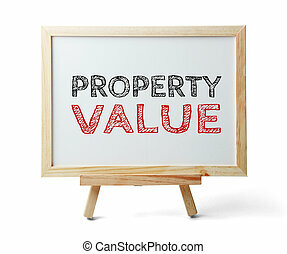 Whiteboard with text Property Value is isolated on the white background. 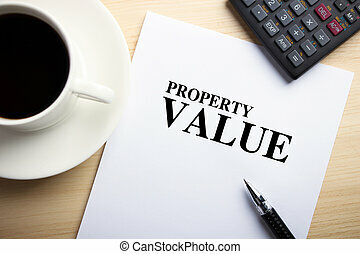 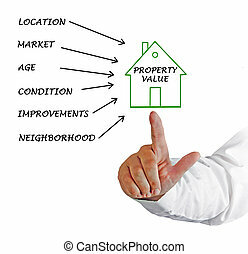 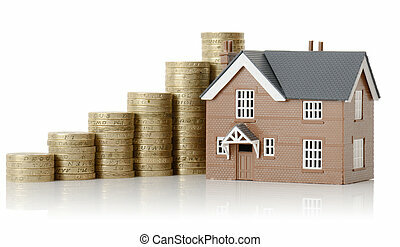 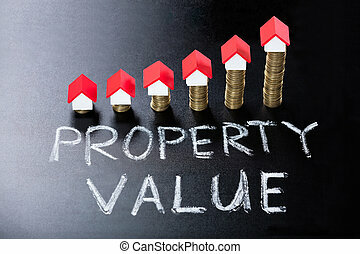 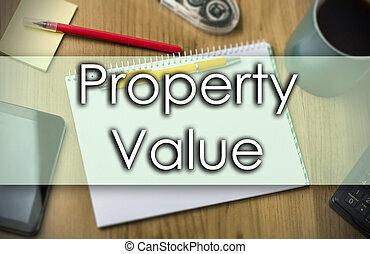 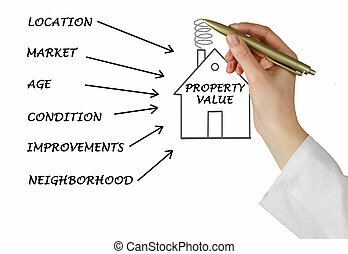 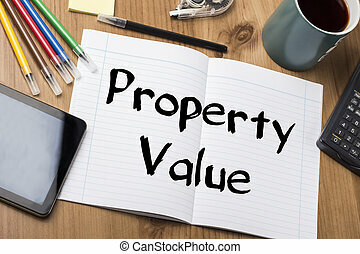 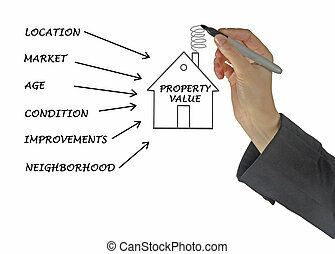 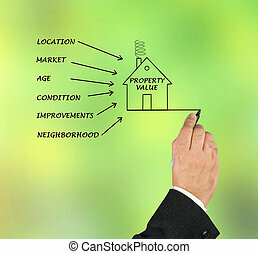 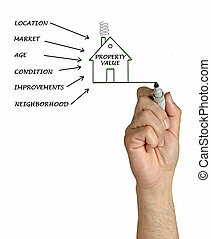 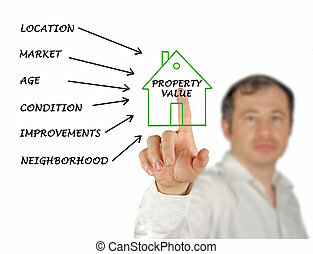 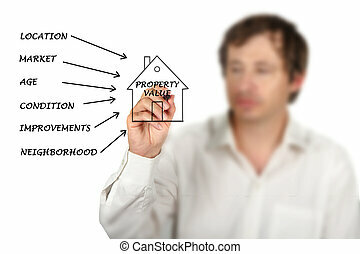 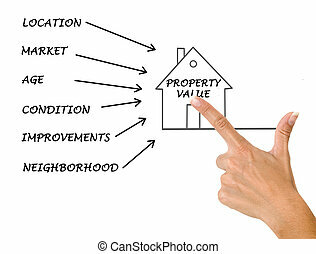 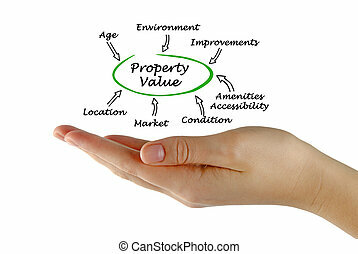 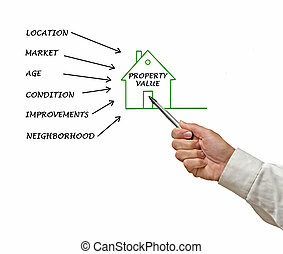 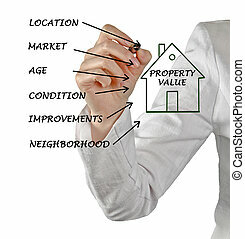 Text Property Value is on the white paper with coffee, calculator and ball pen aside. 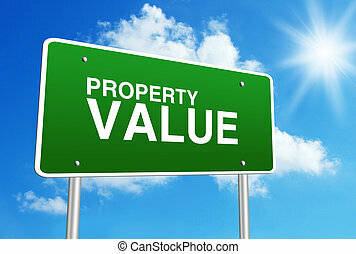 Green road sign with text Property Value is in front of the blue sunny background. 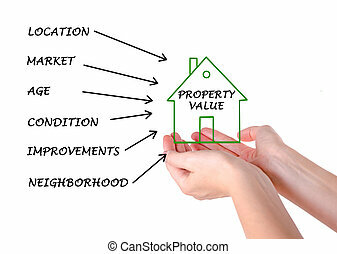 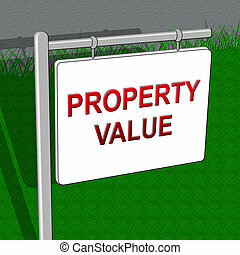 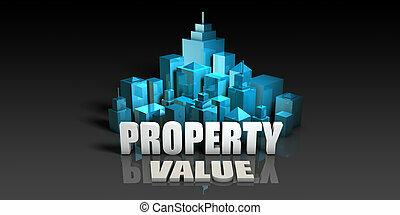 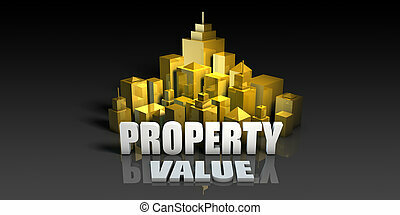 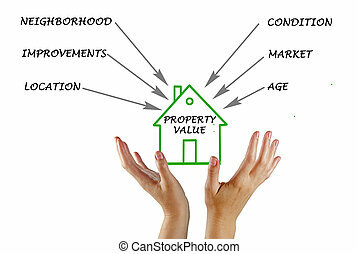 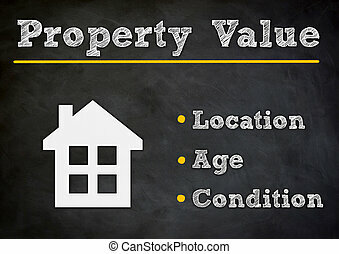 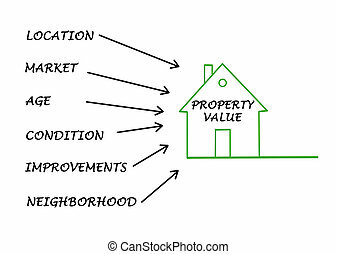 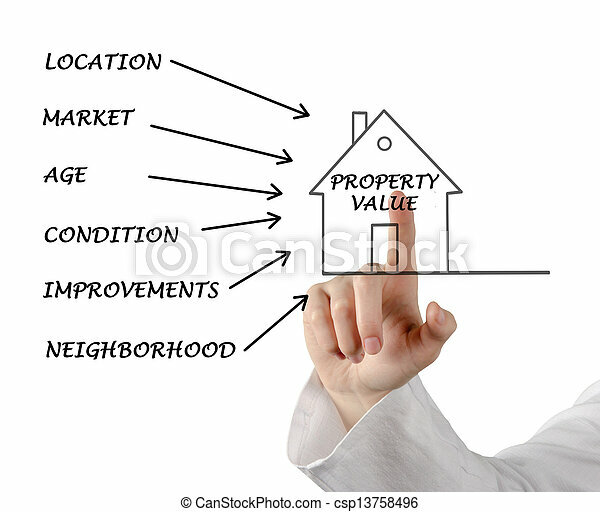 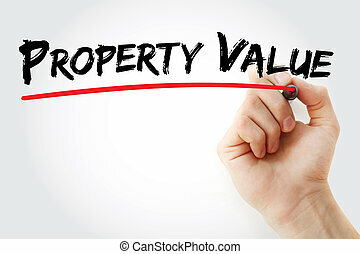 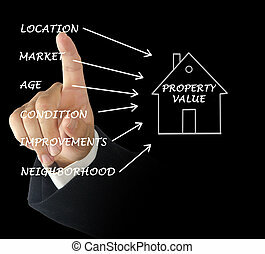 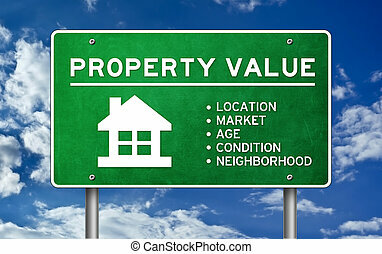 Property value. 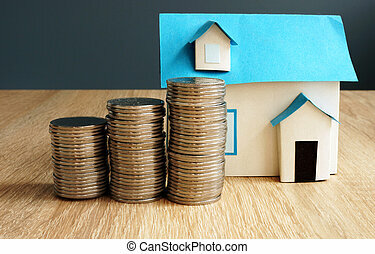 Model of house and coins.